Looking for a good movie to watch with your group of gals for Valentine’s Day? Then you’ve come to the right place! Read below for Valentine’s Day movies suggestions to watch with your gal pals! Valentine’s Day. It’s a day that brings mixed emotions across the board; some people love it, while others simply hope to get through it as quickly as possible. Regardless of how you’ve felt in the past about this particular holiday, below is a list of some classic chick flicks to watch with some good friends that will be sure to bring you good laughs, cries, and a warm heart. Cinderella (2015). Disney’s 2015 live-action remake of the classic animated film is even more magical with epic special effects that bring the legendary tale of Cinderella to life with new twists and turns that will keep your attention during the entire film. As a Disney fan, I give this film two thumbs-up for its ability to capture an old tale and make it new for the younger generation to fall in love with the same stories I did as a child. The Last Song. This movie, starring Miley Cyrus, Greg Kinnear, and Liam Hemsworth, focuses on the story of a girl (Cyrus) spending the summer in her father’s coastal hometown with him and her younger brother. While she is there, her hardened heart starts to open back up to her father, the piano, and to a determined love interest (Hemsworth). This movie is not only incredibly sweet and a definite tear-jerker but is a good reminder of all the little and big things that make the journey of life incredible. The Princess Diaries and The Princess Diaries 2: Royal Engagement. These movies tell the story of young Mia Thermopolis (Anne Hathaway) as she learns of her secret royal heritage and goes through princess training. For many girls such as myself, this is a “classic girl movie.” If you’re not up for much romance, the first film is a definite go. However, if you want a touch of romance for Valentine’s Day, the sequel, The Princess Diaries 2: Royal Engagement, is just the ticket for you. This film focuses on Princess Mia finding a husband within one month or else she must give up the throne and her chance of becoming queen. If you are watching films with a large group of girls or have only seen one of the movies, I recommend watching both back-to-back. A Walk to Remember. If you’re in for another heart-wrenching yet beautifully sweet film, this is the one to watch. This film follows the odd friendship of Jamie (Mandy Moore), the daughter of a preacher, and local bad boy Landon (Shane West) as they change each other, and their fondness for one another grows. A Cinderella Story. This film, starring Hilary Duff and Chad Michael Murray, brings a modern-day twist on the classic Cinderella story by focusing on high school students who begin chatting on an online chat group and meet each other at their school’s homecoming dance. Since Sam (Duff) wore a mask with her costume, her “Prince Charming,” Austin (Murray), sets out to figure out who his Cinderella is that ran off at the stroke of midnight—leaving nothing behind but her phone. Leap Year. Whether you’re Irish or not, this movie is sure to make you do a little bit of river dancing. Anna (Amy Adams) is expecting her long-time boyfriend to propose to her anytime now. When the moment she’s been waiting for doesn’t happen exactly as planned, she decides to fly over to Dublin, Ireland while he’s there on conference during leap day—the one day of the year that a woman can propose to a man. On her way to Dublin, some mishaps take place and soon Anna is on a cross-country adventure with Declan, the owner of the hotel and restaurant where she first arrived in Ireland. This movie is superb if you’re look for something to give you and your gal pals the kind of laughing that makes you cry and pains in your stomach. In-Lawfully Yours. As Regent students, this Netflix film is a must-watch. Not only does it have all the goodness and innocence of a family movie, but it was filmed around the Hampton Roads area and is the school’s big film debut. What a Girl Wants. The story of energetic 17-year-old Daphne (Amanda Bynes) embarking on a journey to meet her father for the first time in Britain is one of my personal favorites. Daphne is bold, bubbly and friendly to all but must learn to fit in with her new world surrounded by “high class” Parliamentarian society all the while staying true to herself and bonding with her father. This movie is hilarious and heart-warming. Ice Princess. This movie is one that reminds me of my young self, wishing to become a graceful, elegant figure skater just like Casey, the main character who must decide between her dreams of Harvard or making it as a professional figure skater. 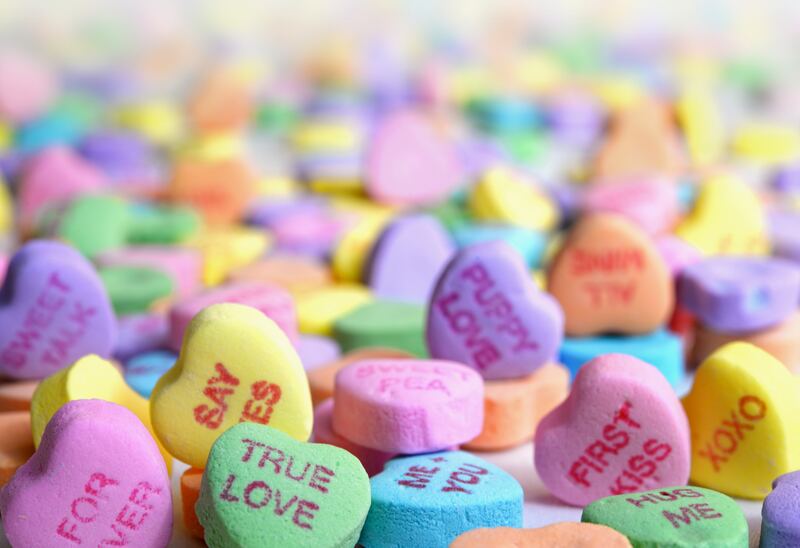 No matter if you’re in for sappy, heart-breaking, iconic, or uplifting—there’s something out there for everyone to enjoy this Valentine’s Day to make the season just a little bit sweeter and brighter.